Cynics have called this film 'predictable,' but I loved it. Touching, character-driven, and inspirational, "Akeelah and the Bee" wins A's from me. It reminds me of when I participated in spelling bees as a child. I was pretty good, but I never made it to the Nationals. To see young Akeelah do so, despite her impoverished background, is very moving. Akeelah Anderson (Keke Palmer) is an 11-year-old, highly intelligent black girl who lives in an Los Angeles urban community with few options. She shows an aptitude for spelling, but is not confident in her abilities. When her teacher notes that Akeelah is the smartest student in the class but seriously lacks motivation, she gives her a flyer for the school spelling bee. Well, Akeelah breezes through that, and she is placed under the stern watch of Joshua Larabee (Laurence Fishburne,) a former Harvard scholar haunted by tragic events in his past. Larabee is one those blokes who makes it almost impossible to please him, and Akeelah and he are initially at odds. and butts heads with her beautiful but stubborn mother, Tanya (Angela Bassett.) Meanwhile, she grieves for her dead father (played in flashbacks by Wolfgang Bodison) and worries for her brother Derrick-T (Eddie Steeples,) who has taken up with Gangsta wannabees. Her military brother Devon (Lee Thompson Young) loves her and supports her, encouraging her fledgling dreams to take flight. Gradually, however, she captures the interest of an entire community. The first thing you might notice about "Akeelah and the Bee" is the undeniable stage presence of Keke Palmer, who plays Akeelah. This young girl has warmth and talent to spare. 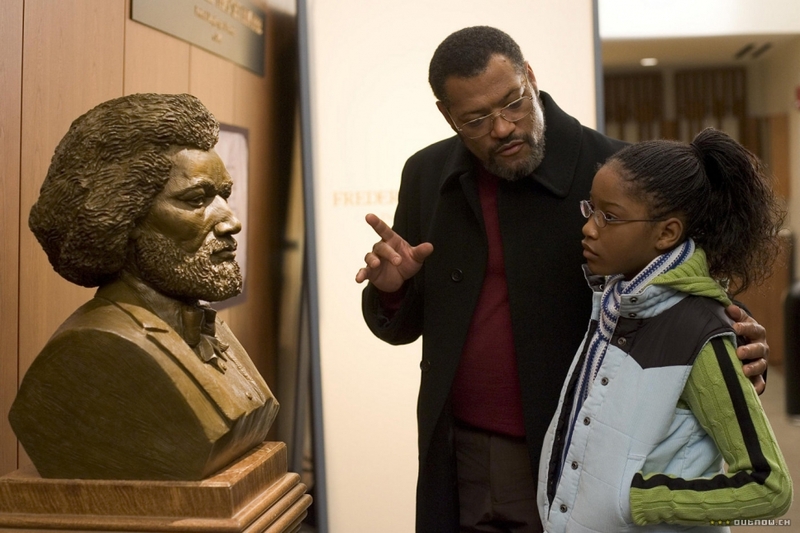 Laurence Fishbourne lends a lot of credibility to his character as Dr. Larabee who starts out not liking Akeelah much at all and gradually warms up to the girl's charms. Angela Basset is also very believable as Akeelah's deeply tired mother, who is frankly expecting to see her daughter flunk the spelling bee. I first saw this movie when I was a kid and was happy to see it again. My opinion had not changed- it is still a very good movie. "Akeelah and the Bee" has a certain innocence without being naive and handles some troubling themes without forgetting to let the sunlight in. It is a very special movie that should be appreciated by kids eight and up (those who are above the "Air Buddies" developmental stage, that is) and it will make kids and adults alike root for Akeelah, with all her grit and her might, against staggering adversity.